Who uses these custom highlighters? Everyone! Whether it is a student, teacher or a parent, everyone uses highlighters at different points for their understanding or expressing their knowledge. Regardless of whether it is used in the office, home or school, your brand logo printed on it and your recipient satisfaction will both skyrocket. We stock various kid-friendly highlighters in lots of styles and colors to meet your requirements. 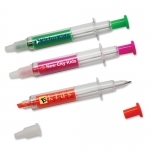 Shop bulk custom printed highlighters at attractive wholesale prices. You can order these custom printed with your brand logo and graphics for promotional giveaways. 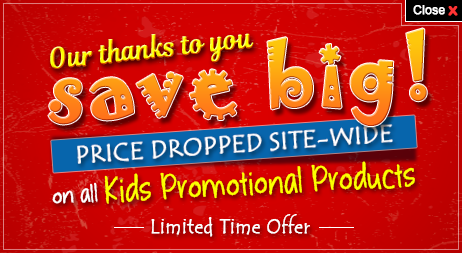 Take advantage of our lowest price match guarantee, customer satisfaction guarantee and fast shipping offer! 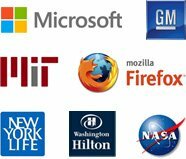 We understand that distributing your company information and popularizing it with your target audience involves lots of efforts. You have been offering flyers and several other promotional items all these years. Why don't you spruce up your promotions with purposeful gifts such as these highlighters and avail it for less if you order in bulk. Custom printed highlighters make useful pencil box as well as study table items and they offer easy exposure to your brand logo. 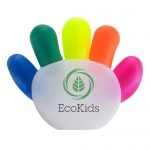 With these custom printed highlighters for kids, you can be assured that you are receiving high quality promotional products at lower prices. Your young recipients will be certain that they want to use these highlighters at schools, homes or during special interaction classes, etc. Although highlighters are used to highlight some important points or while taking down notes, these personalized highlighters will correct thought process of kids, improve their creativity and make them think out of the box. Kids can use these highlighters for making wish lists in catalogue, notebooks and marking holidays. These highlighters are good for highlighting information and phone numbers. 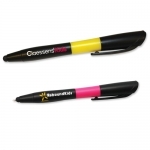 Every time your recipient works with these highlighters, your brand logo will be pushed to the forefront and they will remember it fondly. 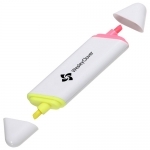 If you wish to acknowledge young customers at the very next available opportunity, it is perfect to stick with our custom mini highlighters that are budget friendly and attractive. You can remain assured that most parents will appreciate your choice of gift that allows their kids to highlight their important points and express their decisions with maturity. You can order these highlighters in bulk and receive attractive discounts. You can also check out our promotional pens and pencils as well as customized crayons for additional gift options. If you are yet to make up mind about why promotional highlighters will be a great choice for your next campaign, feel free to call us and talk to our product experts at 855-454-3786 (we are available from 8AM - 6PM, Monday through Friday) or contact us through info@promo4kids.com.